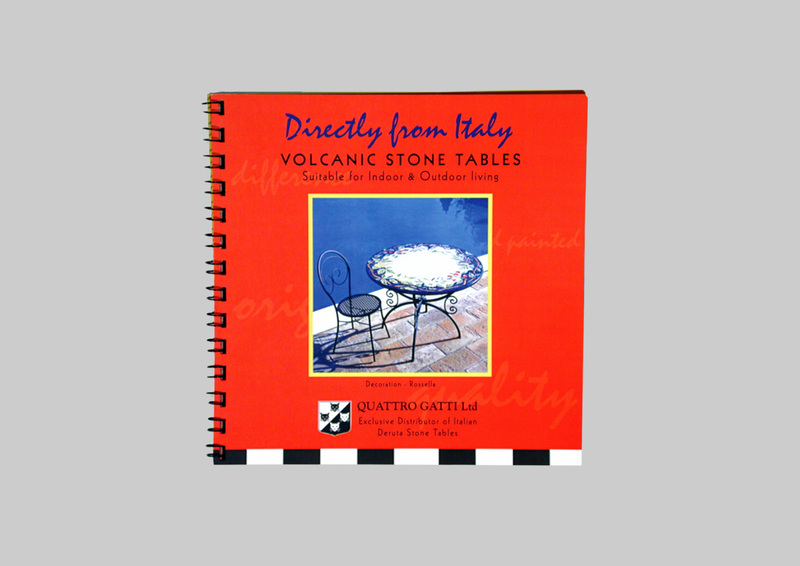 Exclusive distributors of Italian Deruta stone tables. 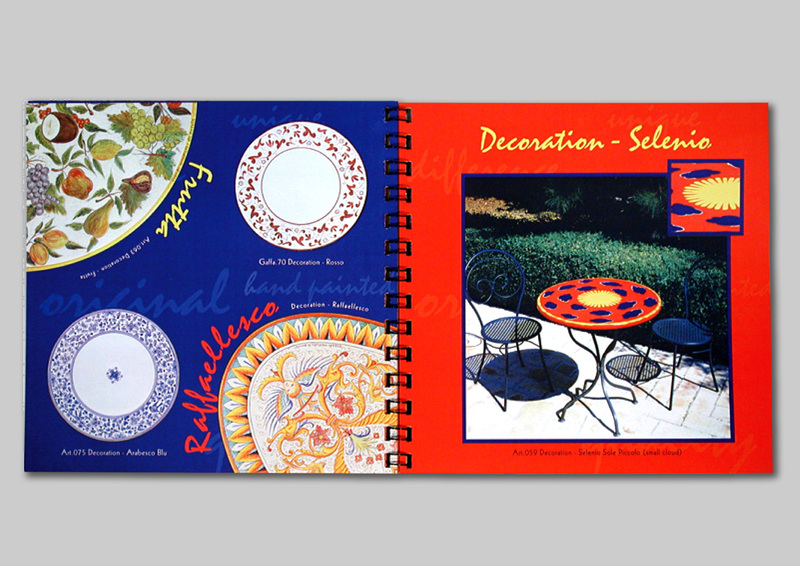 Brief: To design a catalogue which is user-friendly and attractive. 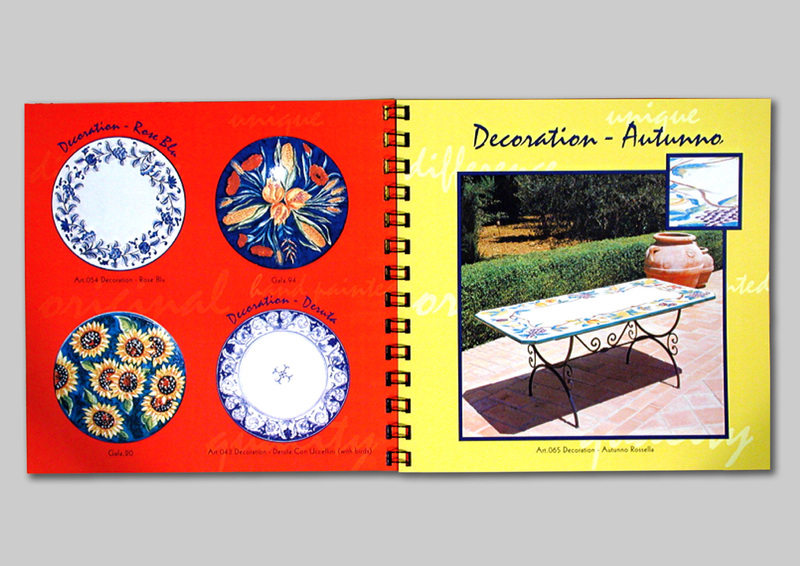 Solution: A square bright colourful thirty plus page catalogue. The table tops are clear cut and placed on flat coloured backgrounds. This technique enhances the colourful patterns of the tabletops which are their point of difference.